Brayman developed a variety of specialized techniques and innovative equipment modifications to complete the underwater installation of an anchorage system at Prettyboy Dam. Based on consultations with many international experts in anchoring and dam rehabilitation, this uniquely complex project appears to be the first of its type in the world with respect to the underwater processes, the depth of dive, and the length of the post-tensioned anchors. Work required underwater drilling, installation, and stressing of 38 bar anchors and 12 mid-width holes through the face of the dam in depths up to 110-feet. The bar anchors ranged in length from 50-feet to 70-feet. The 5.5″ diameter drill holes were core drilled, water tested and redrilled before installation of the anchors. As part of the bar anchor work, Brayman also installed 6 precast concrete cross-beams and steel brackets (wales for anchors). 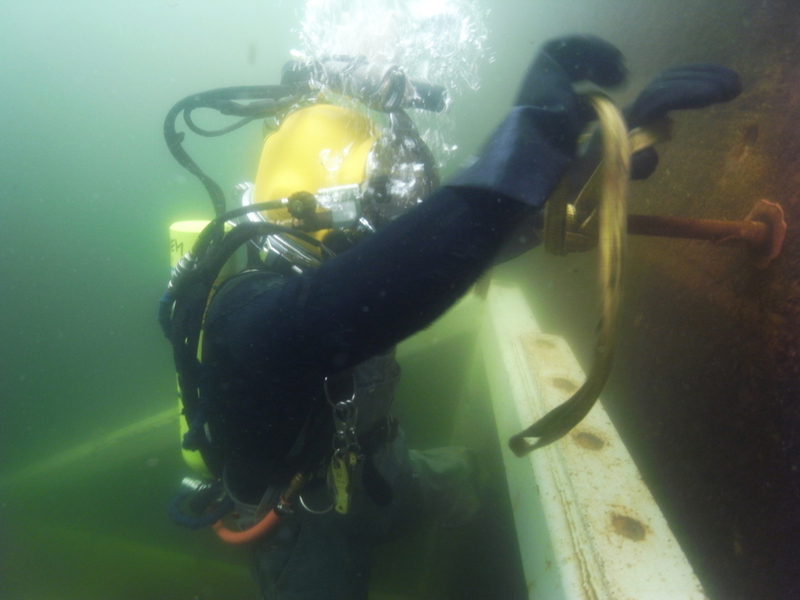 All underwater work was supported utilizing a certified diving subcontractor working from a barge platform. Other miscellaneous work included spall repairs, crack repairs and epoxy injection along the interior walls of the existing gatehouse. Brayman partnered with Specialty Underwater Services to assist in underwater drilling, grouting and installation of post tension bars and precast waler beams. 995 Dives were completed during the job.